Neck and upper back movement is a daily occurrence and as we say in our Arlington Heights Chiropractic Clinic, “you don’t know what you’ve got till it’s gone”. Your head weighs between 15 and 20 pounds and because it’s basically a bowling ball on a stick supported by elastic bands, the stability of your neck can be challenging and can leave you susceptible to injury with relatively little infarction. The bones in your neck and back are separated by springing, flexible discs that allow your bowling ball to bounce up and down when you move. The curve in your neck and back (yes it needs a curve) coupled with the flexible disc allows you to distribute the natural gravitational forces that generate when you move. The spinal cord itself travels down through your spine (the bony part) and between these disc segments there are openings or foramen that allow off shoots of the spinal cord (peripheral nerves) to exit the cord and move out to control every part of your body. Well maintained disc space and movement allow these nerves to exit unencumbered and reach their final destination without interference. However, when these spaces are not well maintained, stuck, or improperly aligned you feel it. You feel it in neck pain, numbness, tingling, shoulder pain, wrist pain, muscle atrophy, pins and needles, TMJ, lack of motion. We see this daily as an Arlington Heights Chiropractor. The list goes on and on. If the nerve or the pathway established by your body allowing your brain to tell everything what to do is impinged in any way the signals cannot and will not provide the influence and instruction to the end target. This results in Neck dysfunction and Neck pain. When your body perceives a malfunction the first thing it wants to do is shut down the area so you can’t injure it any further (more neck pain). This is done by locking up the muscles and causing you neck pain or stiffness. Neck Pain, Low Back Pain, Mid-Back Pain or discomfort is your body’s way of getting your attention and saying “Hey! Pay attention, this is not working!” So what do you do? You stop moving it and this makes the symptoms worse. This is the ugly cycle of pain, you can’t move it because it hurts, and it hurts because you can’t move it... Solution? Arlington Heights Chiropractor Dr. Kevin O'Hara. Highly recommended, highly effective. Most neck pain is caused by the misalignment of the vertebra in your neck and their influence on the muscles, nerves and vascularity. Disc issues, both slight and advanced degeneration, traumatic injury, poor posture, stress, or hormonal influence cause your body to search for a solution of realignment. This cannot be done on its own so your body compensates, causing changes it can achieve. However, most of the time these compensations are only short term fixes and after a while they begin to cause other problems like degenerative disc disease, arthritis, osteophytes, stenosis and fusion of vertebrae. Acceleration / deceleration injuries are one of the most common neck injuries. Another name for this is Whiplash injury. 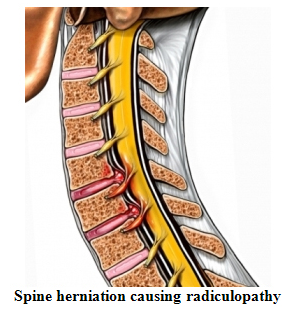 ( neck pain,upper-back pain, mid-back pain, headache) Through the snap of the whip a myriad of injuries can occur. Soft tissue (muscle), osseous (bone), ligaments, disc, and alignment. At first individuals may not seek medical help because this kind of injury sort of sneaks up on you. I see it all the time as a Arlington Heights Chiropractor. Again, the body compensates until it can’t. Sometimes the appearance of symptoms can come much later, however, the fact remains that due to this misalignment, problems will show up. Not all whiplash injuries have to be at high velocity, you can get an acceleration/deceleration injury with very little impact. If you are relaxed and a force is introduced to you when you are not prepared you may have problems, I see it every day in my Arlington Heights chiropractic office . Oh my gosh what a scary word. Relax, subluxation just means the misalignment of spinal segments and osseous structures (bones). The scary part is how severe these subluxations can get. From little bitty ones causing nagging issues to major subluxation causing major issues. These can happen anywhere and the causes of subluxation can be as numerous as the affects they have on your body. Your body is a well-tuned machine and needs to be treated like one to achieve maximum potential. The subluxation causes interference of brain signal to end organs, muscles etc. Think of a garden hose. Turn on the water and it gushes out full blast in a nice stream. Now put your thumb over the opening, what happens? The stream from the hose is altered, spraying in any number of patterns, or stopping. Look at your brain signal as the same thing. Affect the signal in any way and you have issues. Often serious issues, and over the course of time there can be dire consequences. Stay aligned and avoid the consequences. Chiropractic in Arlington Heights ! Every body has it, everybody knows what it does. Emotional, environmental, chemical, physical. Stress comes in different ways for different people. But make no mistake; stress influences your body in devastating ways. For example, if you are stressed out of your mind for weeks, months, years on end from a job, your body stays in “fight or flight” mode for as long as it can. This means your body is on high alert ready to fight for your survival or run away at top speed. Hormones, hormones, hormones. I’ll give you the brief version. Your adrenal glands keep pumping adrenaline into you to keep you on your toes, this in turn gets your muscles ready to run (causing spasm trigger points etc because you don’t) Strong muscles pull bone out of alignment, yes the subluxation. But back to your adrenal glands, they pump and pump but there is no result and no remedy so they eventually say, this isn’t working and shut down…adrenal fatigue. Tired, burnt out, no amount of coffee can boost you, so your heart has to pump harder to keep you going and get more oxygen into your system, increasing your respiration causing more work and stress on vital organs…get it? It’s a vicious circle. So what does the chiropractic adjustment do for stress? Arlington Heights Chiropractor Dr. Kevin O'Hara removes the subluxation allowing your brain to better regulate your bodily systems, releases endorphins into your body making you feel better, more relaxed. It has been proven that the chiropractic adjustment raises your immunity by increasing T-Cell production. Better immunity, less stressors on your body when fighting invasion from illness. Less stress equals better life we see the miracle of this every day in our Arlington Heights Chiropractic office. The discs in the neck and back can herniate, bulge or become swollen causing pressure on the nerves exiting the spinal cord causing Neck Pain, Back Pain, Mid-back Pain, Low Back Pain. This pain and can cause numbness, tingling and stabbing pain, pain that radiates to shoulders, arms or hands or legs and feet. Disc swelling can also be from infection, trauma, degeneration or subluxation. Most people have asymptomatic bulges but when they begin to show signs they can become debilitating. Align the spine and you will be fine. A chiropractic check up at our Arlington Heights Chiropractic Clinic With Arlington Heights chiropractor Dr. Kevin O'Hara will help you avoid problematic disc issues. Make an appointment at our Arlington heights chiropractic office and get some questions answered.